A delicious mound of naked hill side is bathed in the first red light of dawn turning it the colour of burnt sienna. 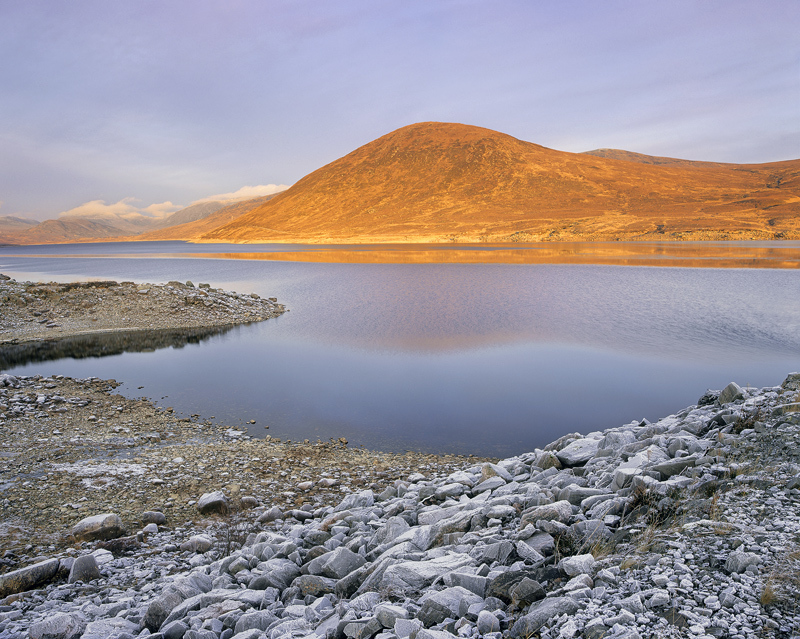 This vivid hue is all the more striking because of the cool hues of a clear frosty morning reflecting both in the loch and on the frost covered rocks bordering it. Initially I was disappointed that the wind ruffled the surface and there was no reflection in the water but perhaps that vibrant hue would have overpowered the rest of the scene and been too dominant, a more conservative slash of orange on the disturbed surface is probably more than enough of a good thing.